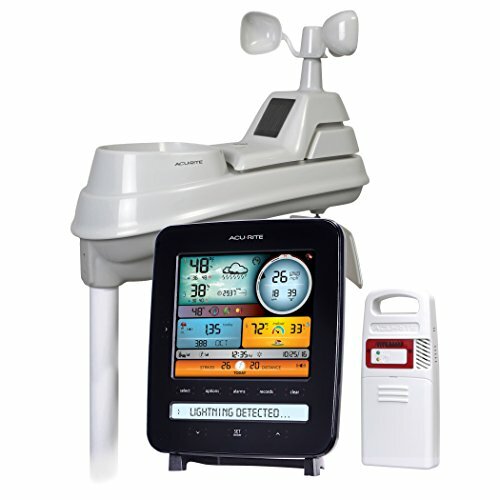 It’s a must to keep up-to-date on weather conditions when severe storms are in your area. 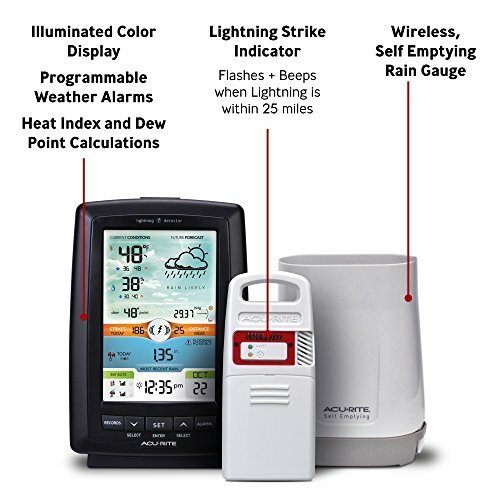 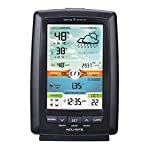 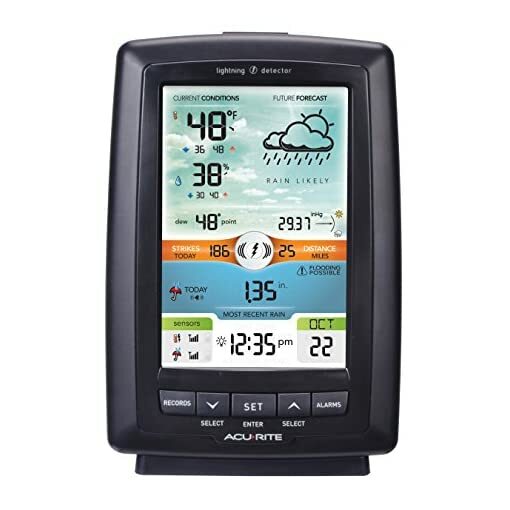 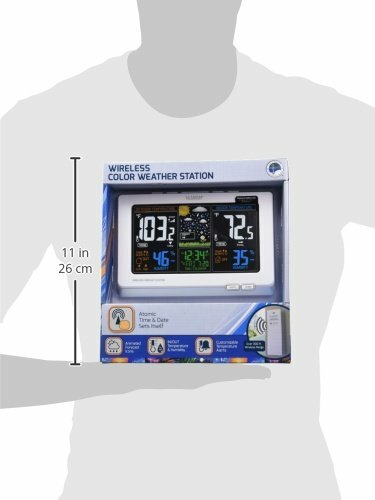 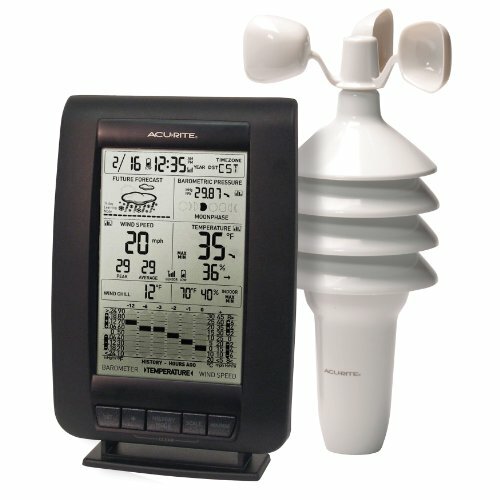 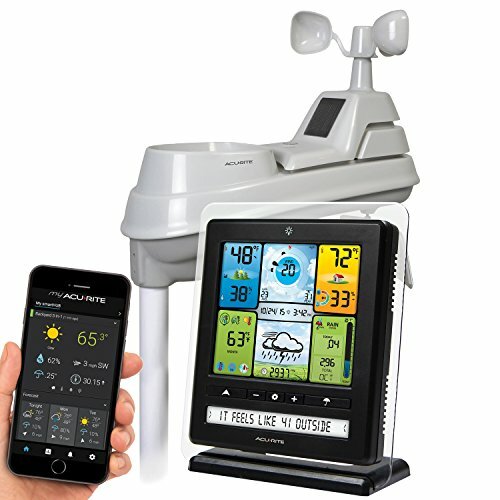 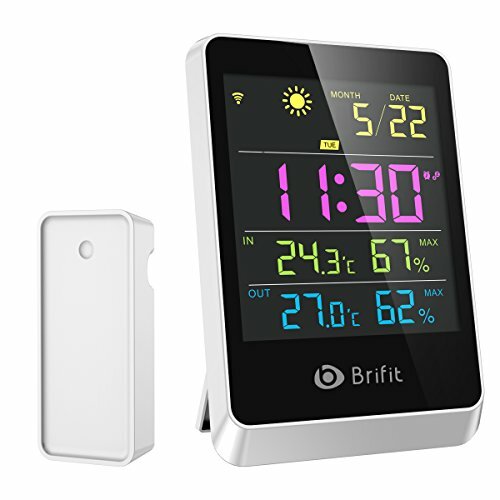 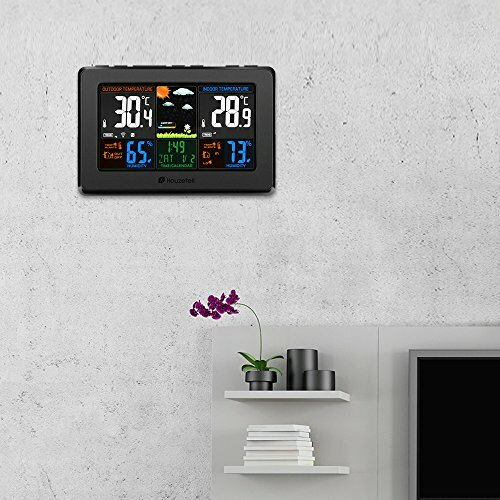 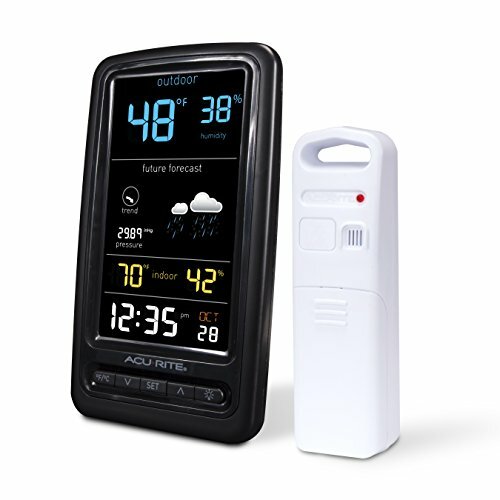 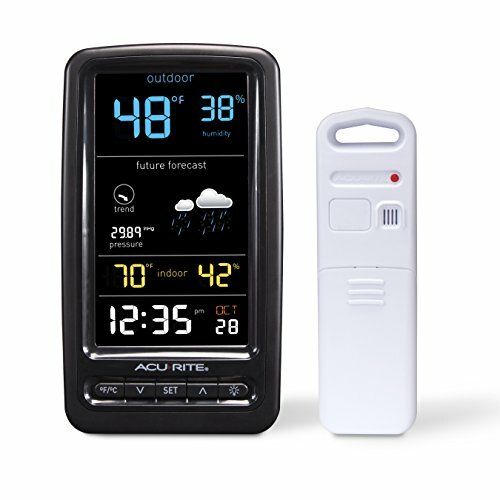 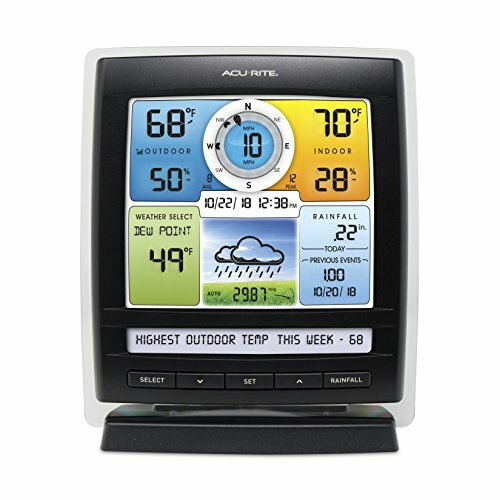 With the AcuRite color weather station with rain gauge and lightning detector you’ll be able to stay aware of dangerous lightning strikes and heavy rainfall that could result in flooding so you’ll be able to take precautions to offer protection to your home and the people you care about. 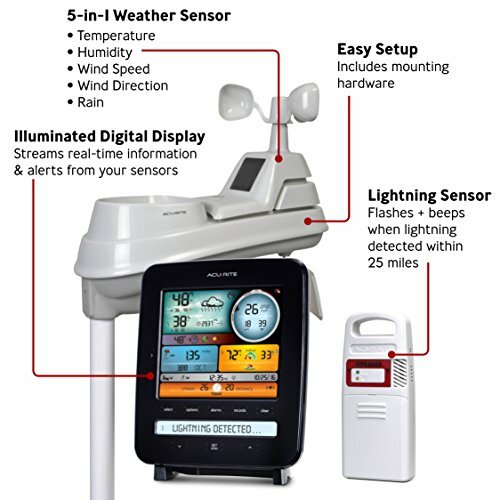 The sensor tracks lightning strikes within 25 miles (40 kilometers) and provides lightning alerts with a warning light and audible alarm. 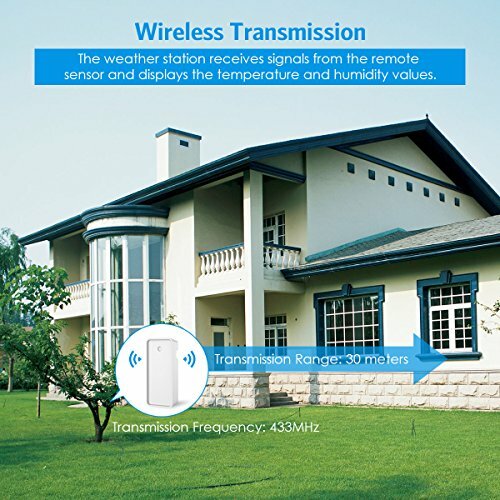 It wirelessly transmits data every 24 seconds right through normal conditions and every 8 seconds once lightning is detected (for 30 minutes). the rain gauge wirelessly measures rain precipitation (inches or millimeters) and features an automatic self-emptying rain collection cup for low-maintenance. 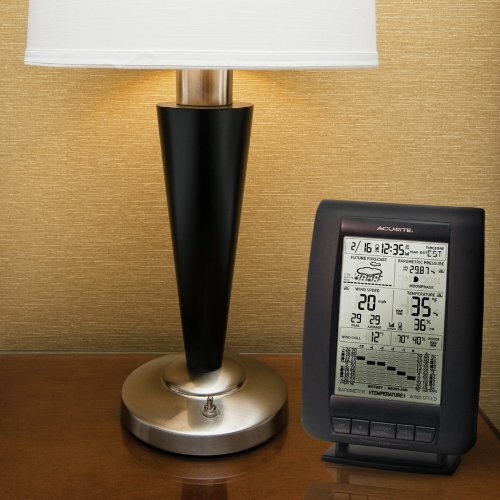 The illuminated color display has a convenient tabletop stand and wall-mountable design. It records current, weekly, monthly and once a year lightning strike counts (miles or kilometers), in addition to historical rainfall records (inches or millimeters) for the previous 48 hours, 7-days, month, and year. 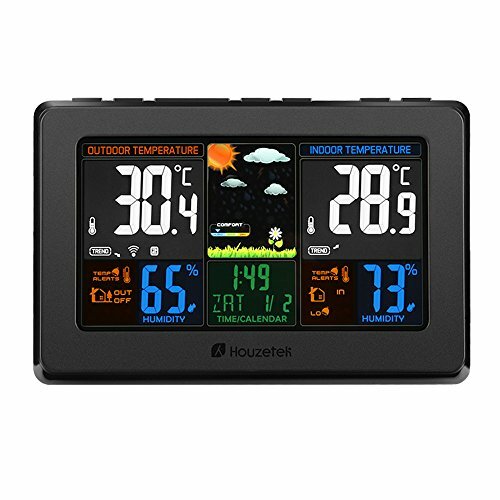 It also displays data for outdoor temperature (degrees Fahrenheit and Celsius), humidity (percent rh), barometric pressure, heat index, dew point, daily and all-time low and high records. 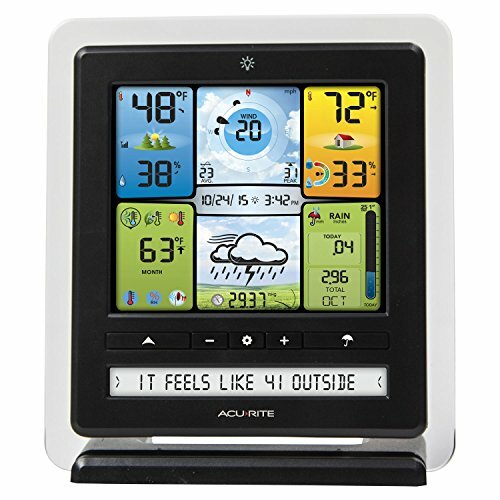 Display features integrated digital clock and date. 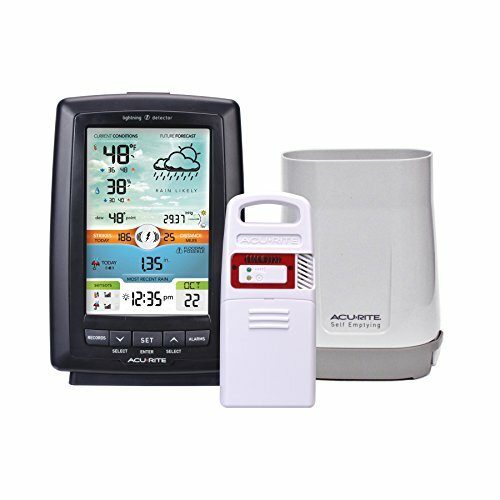 Customize weather alarms to notify you when temperature, humidity, barometric pressure, and rainfall readings fall outdoor of your specified ranges to stay aware of when local weather conditions change. 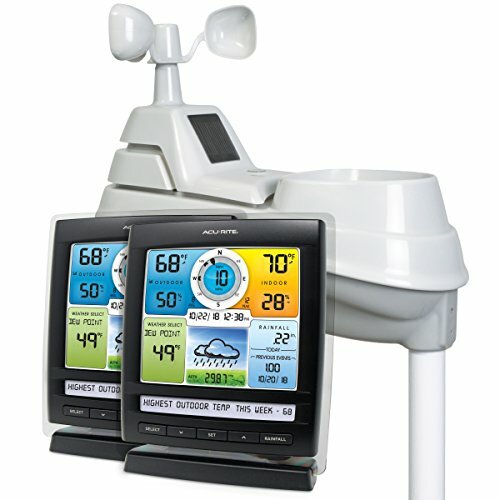 The weather station also provides a 12 to 24-hour weather forecast. 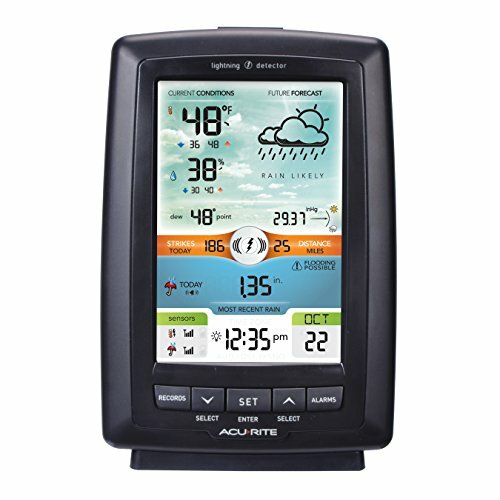 AcuRite patented Self-Calibrating forecasting pulls data from a sensor in your back yard to come up with dependable forecasts for your exact location.